Whether or not you think the oversized vehicle vending machines are a gimmick, there is no denying Carvana's success as a disruptor in its six years of existence. 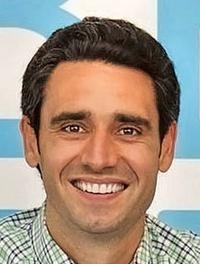 The large contraptions are in just 14 markets, but Carvana has spread its otherwise ultralight, online retail operations from coast to coast in the U.S.
As CEO of the company that he and his father co-founded, Ernie Garcia, 36, has overseen Carvana's brief and aggressive rise. That includes its arrival on the New York Stock Exchange and its subsequent recovery from a lackluster initial public offering. Carvana shares debuted at $15 and closed at $11.10 on the stock's opening day in April 2017. But it has been trading north of $40 for most of the last six months. The company has not reported a profit since going public, but it has been posting triple-digit growth in revenue and retail-unit sales. Its unique setup, low overhead and aggressive expansion have positioned it as a formidable rival to traditional dealers.